Are you looking for a machine that offers you efficiency, performance and comfort? The MLT 737-130 PS+ was made with you in mind! Dedicated to agricultural material handling, it has a lifting height of 6.88 m and a lifting capacity of 3.7 t.
Comfort as a top priority: this machine offers a completely new cabin, with the benefit of easy access, optimal visibility, a JSM® (Joystick Switch and Move) mounted on a floating armrest, Double Switch Buttons (DSB) and soundproofing ideal for long periods of use. Performance as a top priority: this machine gives you exceptional results thanks to its 129 hp Deutz engine and Powershift Plus transmission. 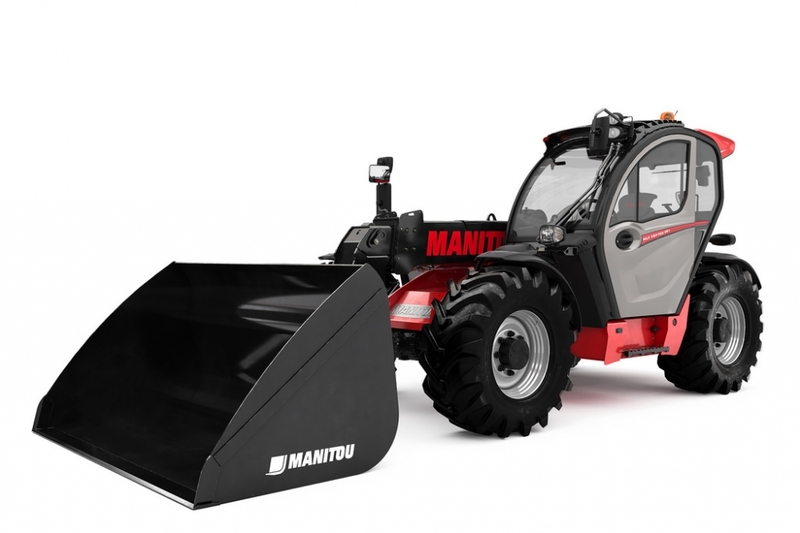 Its limited slip differential, ground clearance of 41 cm and automatic dust removal system for the radiators are perfectly adapted to agricultural use. Efficiency as a top priority: the MLT 737-130 PS+ has a 150 l/min variable flow pump, new hydraulic functions, a wide choice of tyres (agricultural profile tyres are fitted as standard) and centralised grease points.